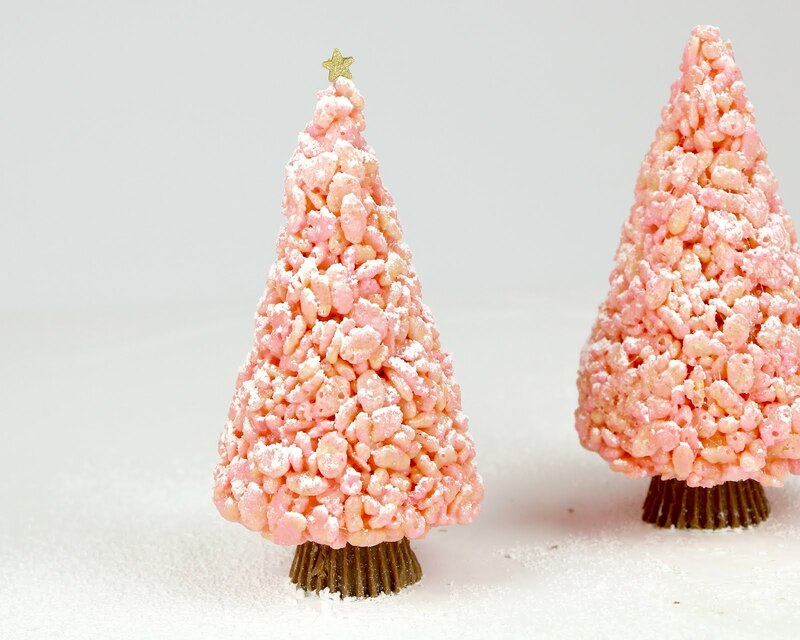 Adorable, edible rice krispies treat Christmas trees, that are so easy to make! 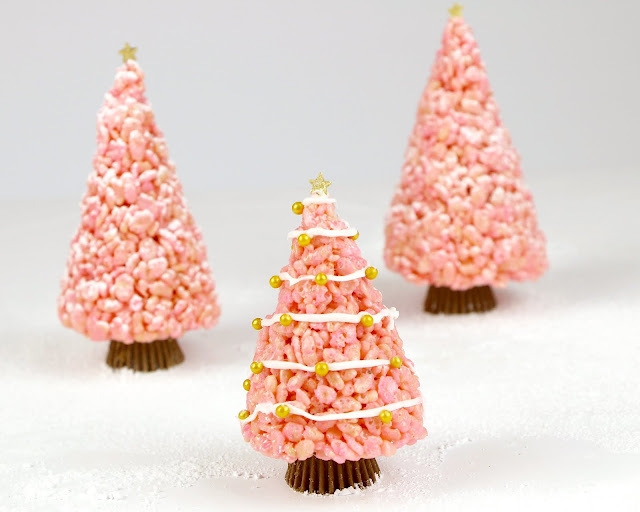 I used a basic rice cereal treat recipe for these trees, and just added a little pink food coloring. You can definitely make these classic green... or any color you like! 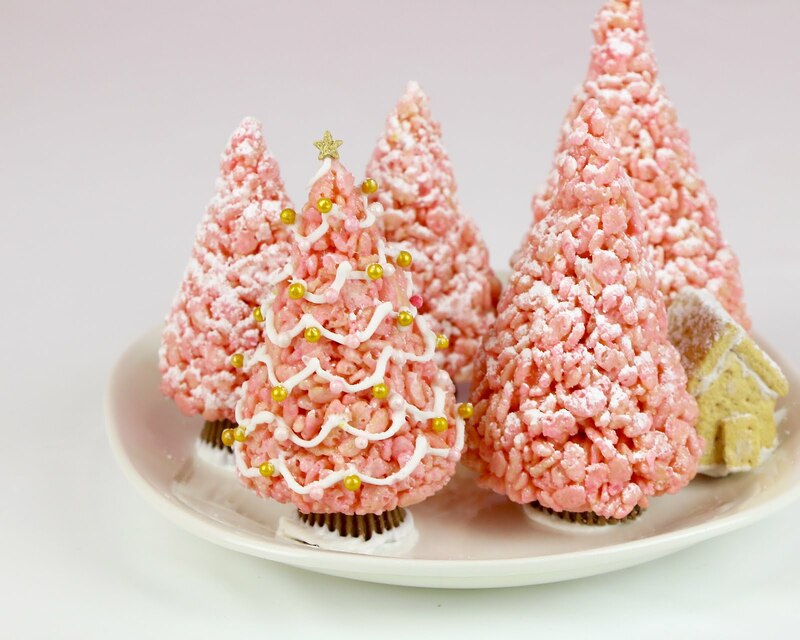 Dust them with powdered sugar for a simple and elegant look, or use frosting and sprinkles to really decorate them and make them extra festive! 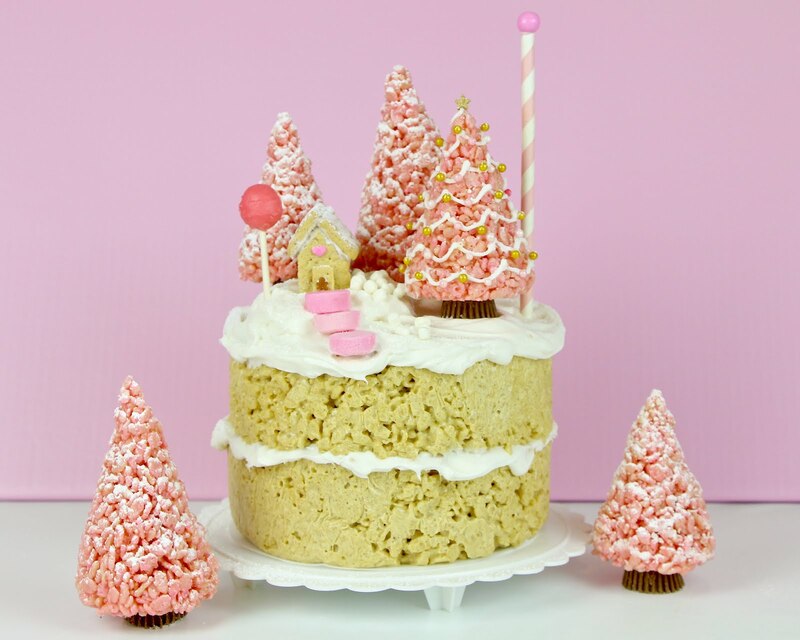 You can also use these as a fun activity that is a little easier than gingerbread house decorating, if you leave out a bunch of bare trees and let each guest decorate their own custom edible tree! 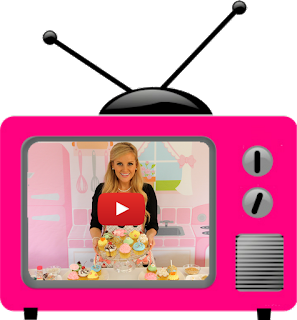 And if you guys liked this video, go check out my no-bake winter wonderland cake, that I used these on! Melt butter in a saucepan. Stir in marshmallows, on low heat, until fully melted. Turn off heat and stir in food coloring and flavor extract if desired. Add cereal, mixing until well coated. Let cool slightly, about 5 minutes. 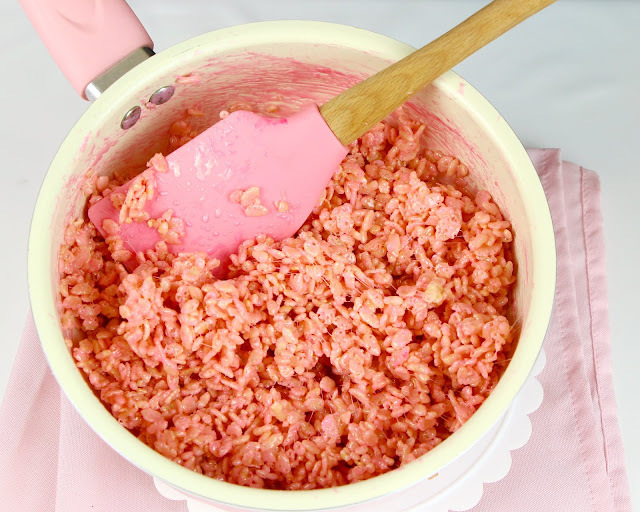 Spray hands with non-stick cooking spray and firmly press about 1/3-1/2 cup of the cereal treat mixture into into cone shapes, to create desired size. Let trees set and firm, about 30 minutes. Dust with powdered sugar "snow", or decorate with icing and sprinkle "ornaments" and a star on top. 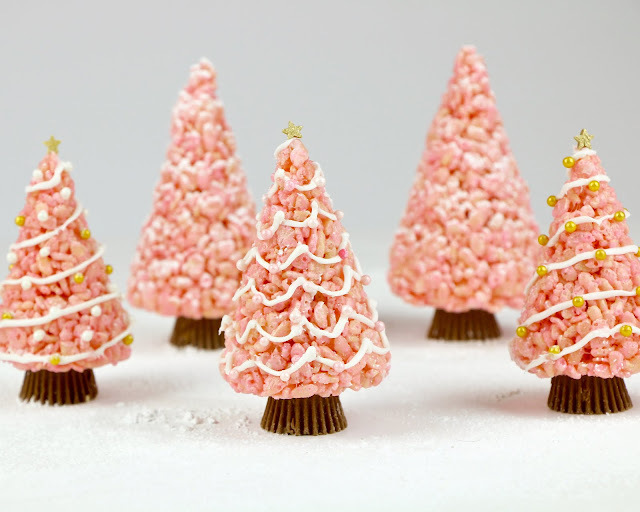 Attach an upside down mini Reese's cup, with icing, at the bottom of each tree.